An international team of researchers has discovered new evidence that our prehistoric ancestors had a detailed understanding of plants long before the development of agriculture. Through the extraction of chemical compounds and microfossils from dental calculus (calcified dental plaque) from ancient teeth, the researchers were able to provide an entirely new perspective on the diet of our ancestors. 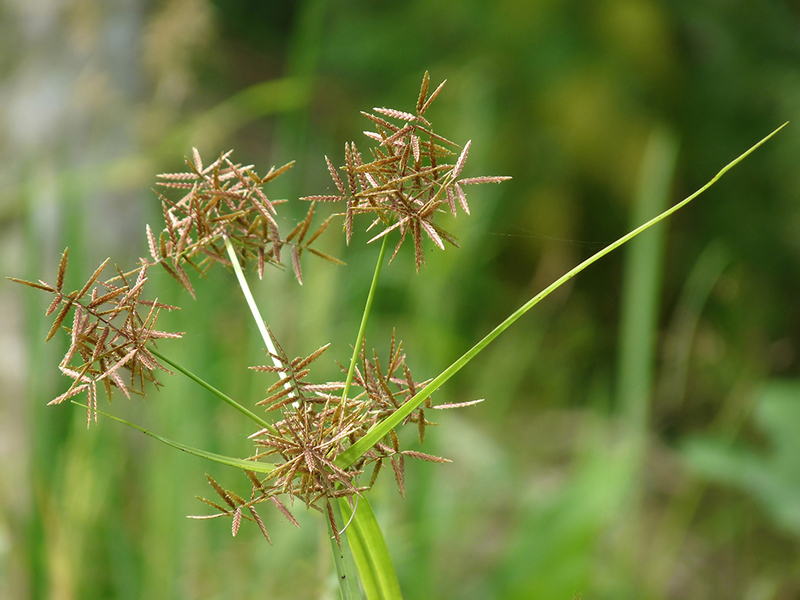 Their research implies that purple nut sedge (Cyperus rotundus)- today perceived as a nuisance weed- formed an important part of the prehistoric diet. Crucially, the research, published in PLOS ONE and led by the Universitat Autònoma de Barcelona and the University of York, suggests that the prehistoric people residing in central Sudan possibly understood both the nutritional and medicinal qualities of this and other plants. The research was conducted at Al Khiday, a pre-historic site on the White Nile in Central Sudan. It demonstrates that for at least 7,000 years, beginning before the development of agriculture and continuing after agricultural plants were also available, the people of Al Khiday consumed the plant purple nut sedge. The plant is a good source of carbohydrates, with many useful medicinal and aromatic qualities. Lead author Karen Hardy, a Catalan Institute for Research and Advanced Studies (ICREA) Research Professor and the Universitat Autònoma de Barcelona (UAB) and an Honorary Research Associate at the University of York, said: “Purple nut sedge is today considered to be a scourge in tropical and sub-tropical regions and has been called the world’s most expensive weed due to the difficulties and high costs of eradication from agricultural areas. By extracting material from samples of ancient dental calculus we have found that rather than being a nuisance in the past, its value as a food, and possibly its abundant medicinal qualities were known. More recently, it was also used by the ancient Egyptians as perfume and as medicine. Al Khiday consists of five archaeological sites that lie 25km south of Omdurman; one of the sites is predominantly a burial ground of pre-Mesolithic, Neolithic and Later Meroitic age. Being a multi-period cemetery, it gave the researchers a useful long-term perspective of the material covered. The researchers discovered ingestion of the purple nut sedge in both pre-agricultural and agricultural periods. They suggest that the plant’s ability to reduce Streptococcus mutans, a bacterium which contributes to tooth decay, might have contributed to the unexpectedly low level of cavities found in the agricultural population. Dr. Donatella Usai, of the Instituto Italiano per l’Africa e l’Oriente in Rome led the excavation and Dr. Tina Jakob of Durham University’s Department of Archaeology, performed the analysis of the human remains at Al Khiday. Anita Radini, an Archaeobotanist of the University of Leicester Archaeological Service (ULAS) and a PhD candidate at BioArCh, University of York, contributed to the analysis of microfossils found in the dental calculus samples. Fieldwork was funded by the Italian Minster of Foreign Affairs, Instituto Italiano per l’Africa e l’Oriente, Centro Studi Sudanesi e Sub-Sahariani, and the Universities of Milano, Padova and Parma. The research was endorsed by the National Corporation for Antiquities and Museums (NCAM) od Sudan.